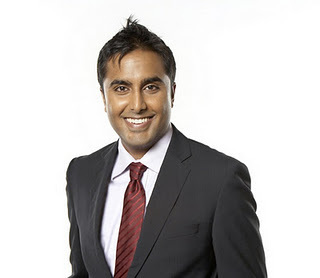 The following is a guest post by Brian Persaud, a Toronto based real estate agent, investor, analyst, TV show host, producer and author of the forthcoming book “Investing in Condominiums“. He is a provider of Toronto condominium information and a good friend to the folks of BuzzBuzzHome. You can follow him on Facebook, Twitter or subscribe to his newsletter. And now here’s Brian! 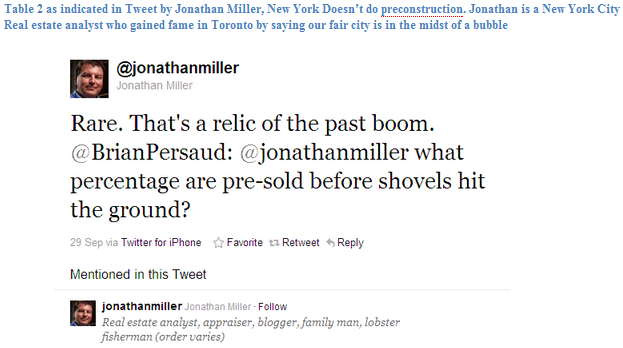 As soon as the press got wind of the data, stories about an unsustainable production of condos started to spread like wildfire. The question was instilled in people’s minds: how could Toronto have anything bigger than Mexico City, and, gasp, NEW YORK CITY? Isn’t New York City cooler? I mean everything is supposedly bigger in New York, right? Well in this case, our condo market destroys everyone on this continent… and this is not necessarily an unsustainable thing for the following reasons. 1) The GTA has a high population density. 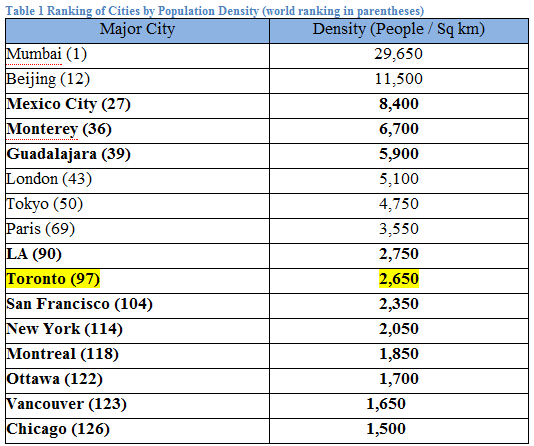 Believe it or not, Toronto is the 5th most densely populated city in North America. If people continue to move into the GTA with a green belt and a lake, they have to live close together. This makes high rises a natural option. 2) We are a city of towers. 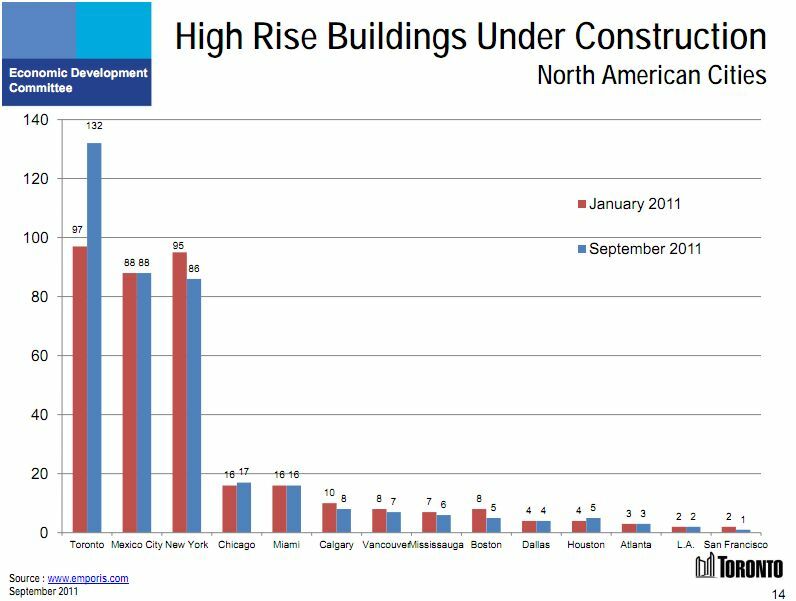 Toronto already has the second most high rise buildings (over 12 storeys) in North America and 30 per cent of the Toronto housing stock are apartments in high rises. 3) Our past construction boom was bigger. Over the past 6 years of our current condo boom, there has been an average of 15,000 units added to the market. This is almost peanuts compared to what was happening during the 60s and 70s. After World War II, Toronto city planners and the precursor to CMHC encouraged high rise development over low rise properties. Most of the towers are those concrete rental buildings dotting the city skyline from Etobicoke to Scarborough. For those who don’t travel much in other cities in North America, having towers anywhere but the downtown core is a rare sight. The GTA has pockets of high rises all over the city. 4) New York doesn’t do pre-construction. Most units that are built are pre-sold and most of these buyers are putting 20 per cent down. This means if a lender is going to give a builder $300 million to finance the construction, they can feel comfortable and confident that the builders’ revenues are backed by pre-sales and cash. In other cities in North America, buildings are completed and then sold. That means a lender has to take that same risk without pre-sales and cash. This makes pre-construction financing more favourable in Canada; therefore, condo towers are more prevalent. Conclusion: When comparing Toronto internationally, it’s good to have some context as to why we are producing more condo units than any other city in North America. Just because we produce more than New York, doesn’t mean we are producing too many.